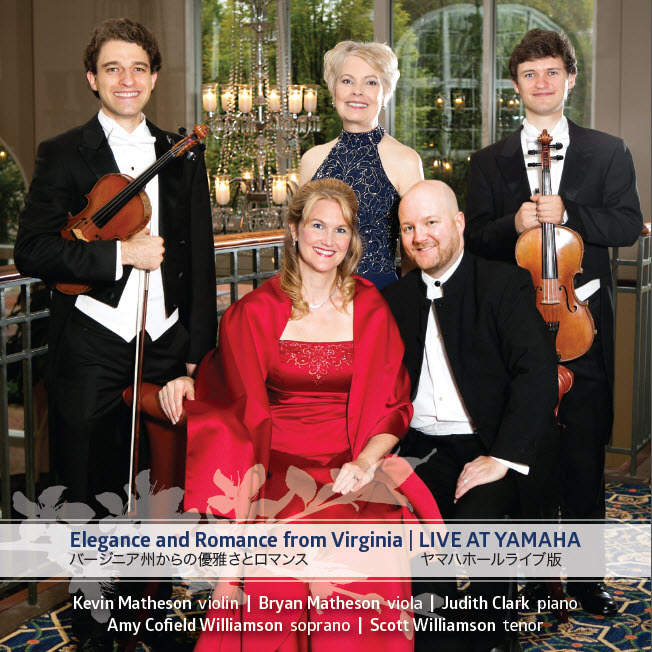 Elegance and Romance from Virginia! 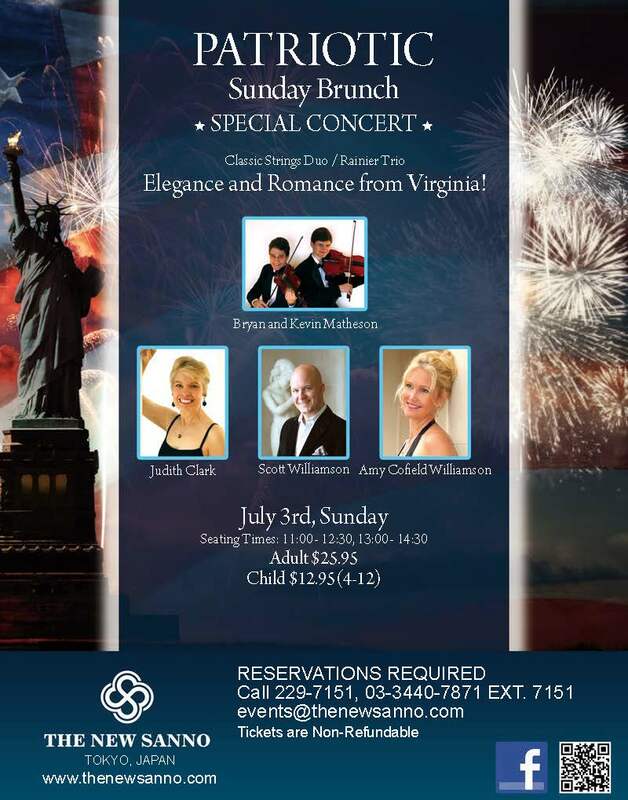 Sponsored by Appalachian Dream, Inc.
Click on a concert poster to see it full-size! 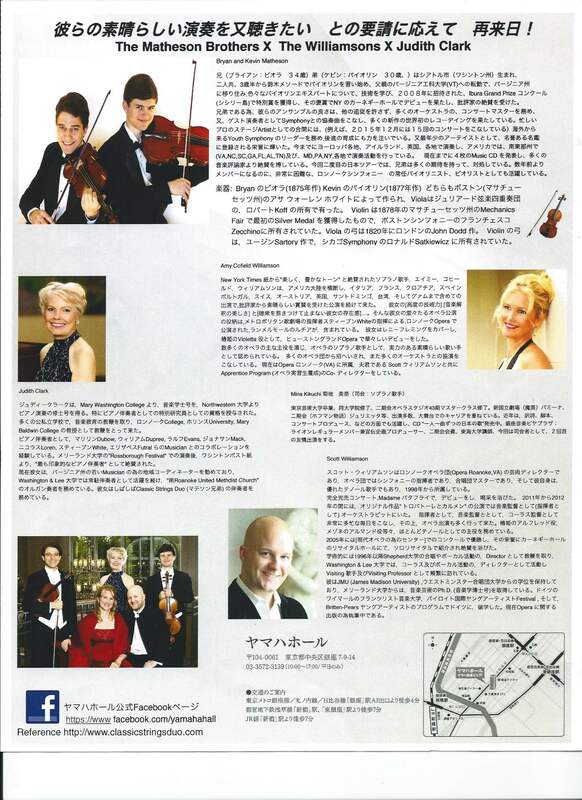 Listen to the CD they recorded live at Yamaha Hall! 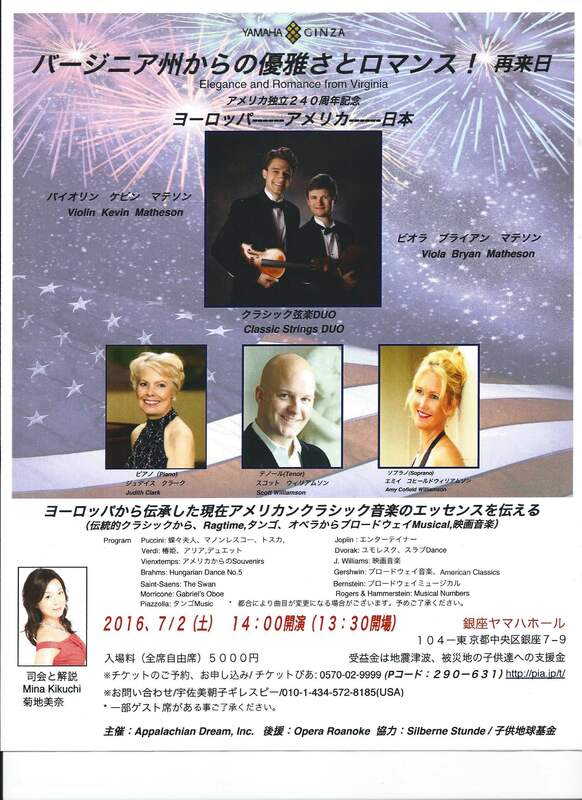 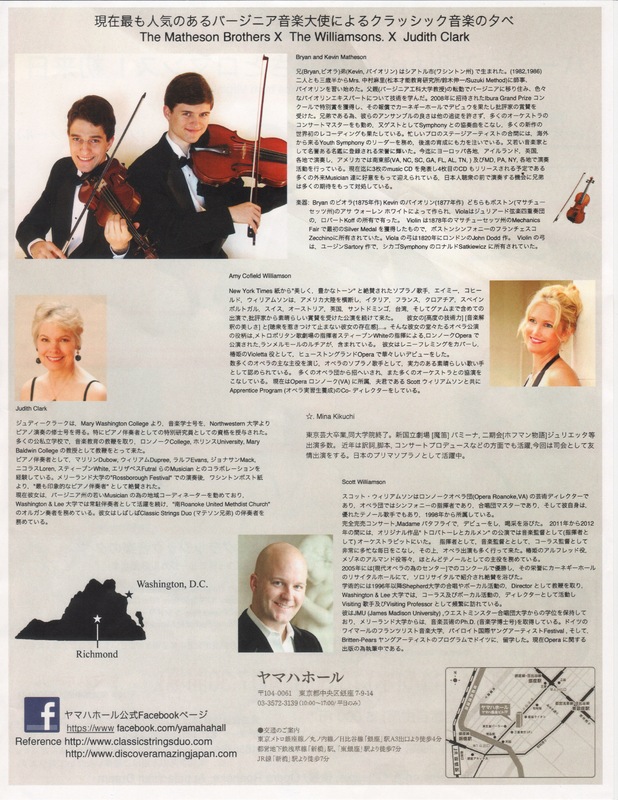 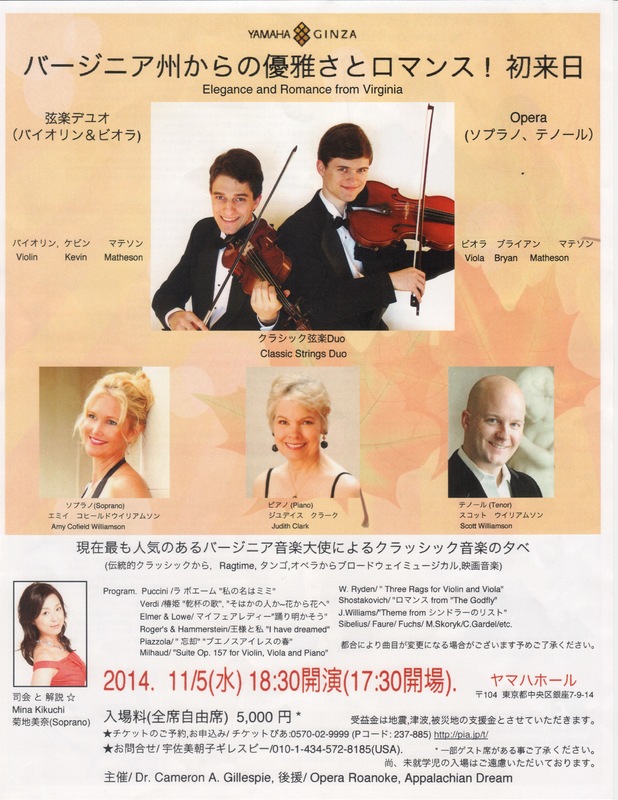 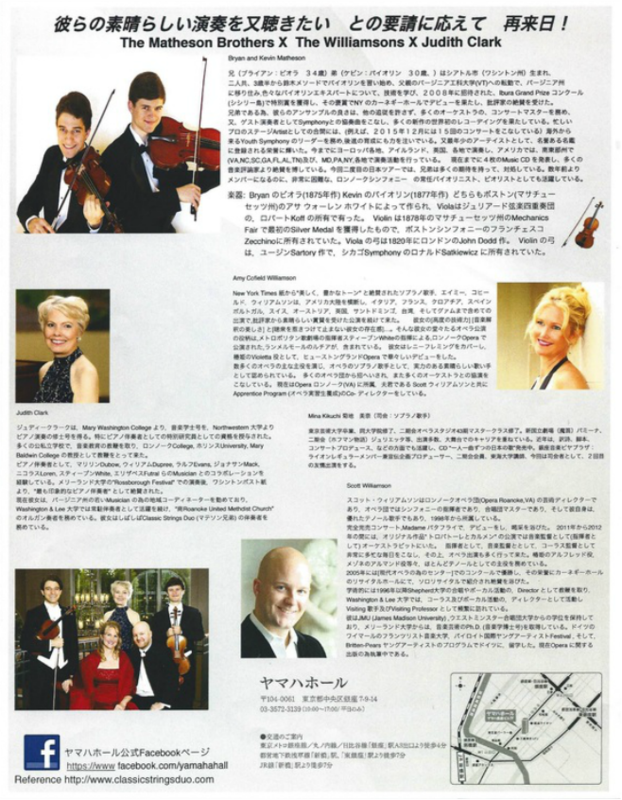 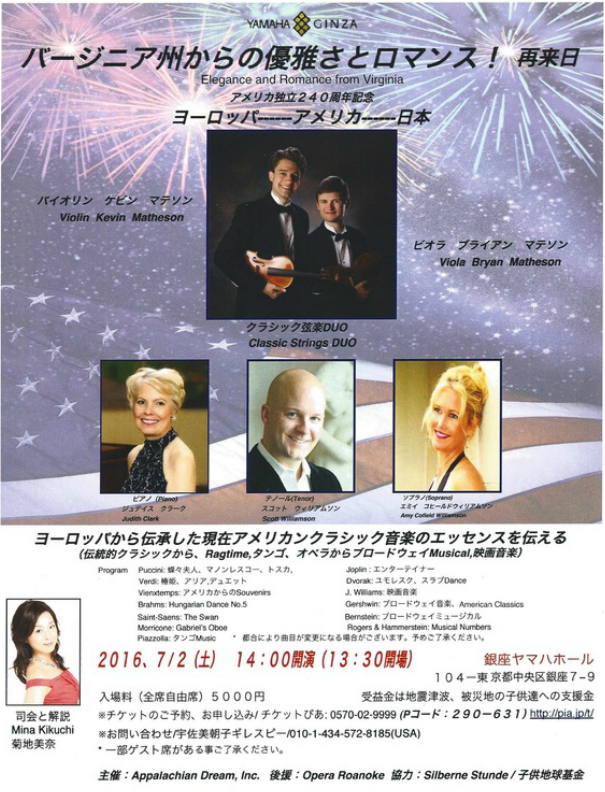 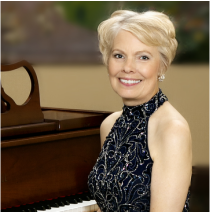 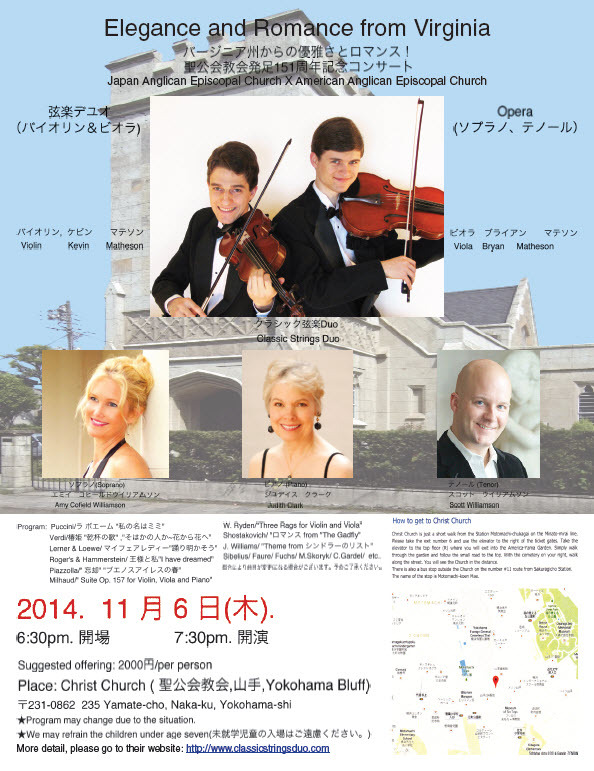 Yamaha Concert Hall, Tokyo - November 5, 6:30 p.m.
Christ Episcopal Church, Yokohama - November 6, 7:30 p.m.